“Colossal Masterworks of Ancient Mexico”, an exhibition of Olmec artifacts, is running at the de Young Museum in San Francisco. It was the first time we had come across them first hand. Here the monumental heads, zoomorphic basalt thrones, engobe ceramics, jadeite celts, are gently spotlit in that subdued ambient lighting and minimalist staging typical of the art museum. So much for iconography. The catalogue, from which this description is taken, adds an account of the provenience of the piece, San Lorenzo, and possible connections with the water management of the site (what was quite clearly a fabulous system of drains!). This does not appear in the exhibition which stops short of offering anything in the way of a narrative or explanatory account of what these artifacts historically witness. We are simply confronted with the artifacts themselves and their considerable power. Of course this is the purpose of the Art Museum – to display art objects – “masterworks” of human creativity. The context is that of the scholarship of the art connoisseur and a story of human achievement. I have criticized many times before this transformation of manufacture and making into aesthetic value, this displacement of the work of makers millennia old into a one-dimensional story-for-all-time (great artists have produced great works of expression since time immemorial). EG – [Link] – here I argue that this turns art into cultural property. EG – [Link] [Link] – here against the way that this notion of art fuels a certain kind of art market. But both Helen and I left with something more positive than this disappointment that the curators had failed to take us into the world of the Olmec, preferring instead their own scholasticism. It was that a lot of this was indeed familiar. We have seen before those polished greenstone celts in the villages of early European farmers (the exhibition calls them axes, but I’m not convinced). We know well the wide currency of slip-coated pottery with this kind of incised decoration. We know these sneering lips and thick necks. No – we’re not about to propose that Egyptians brought their pyramid building to the Americas across the Atlantic in reed boats. But there are patterns in prehistory – wide-ranging and long-term connections and processes. Alois Riegl dealt, in his nineteenth-century way, with the migration of decorative forms – arabesque, lotus and palmette, across vast distances and time, from ancient tomb painting to medieval carpet (I am fascinated with his book Stillfragen, 1893). 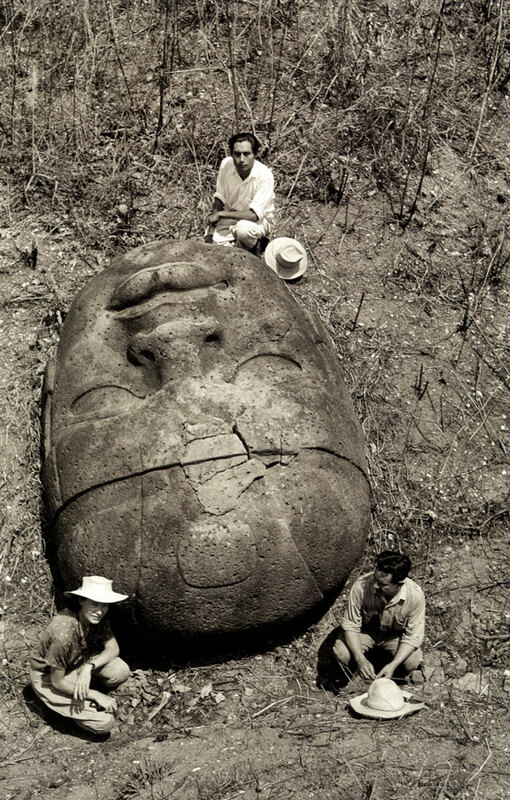 City life, including that of the Olmec, has really only a short history of five thousand years. Is it surprising to see similar cultural forms that connect with similar experiences of the appropriation and control of surplus goods, similar techniques of power, ascendency and subjugation, similar experiences of everyday life and subsistence? The exhibition catalogue does offer a richer picture than the exhibition. 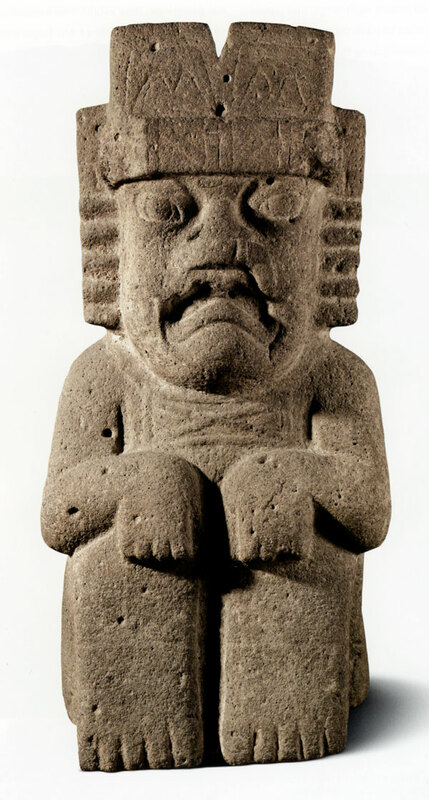 But I cannot help feel that the project of this archaeology is indeed a universal art history devoid of local context: the catalogue, very scholarly in its way, can’t even get the broad chronology right and states that the Olmec were contemporary with Middle Kingdom Egypt!